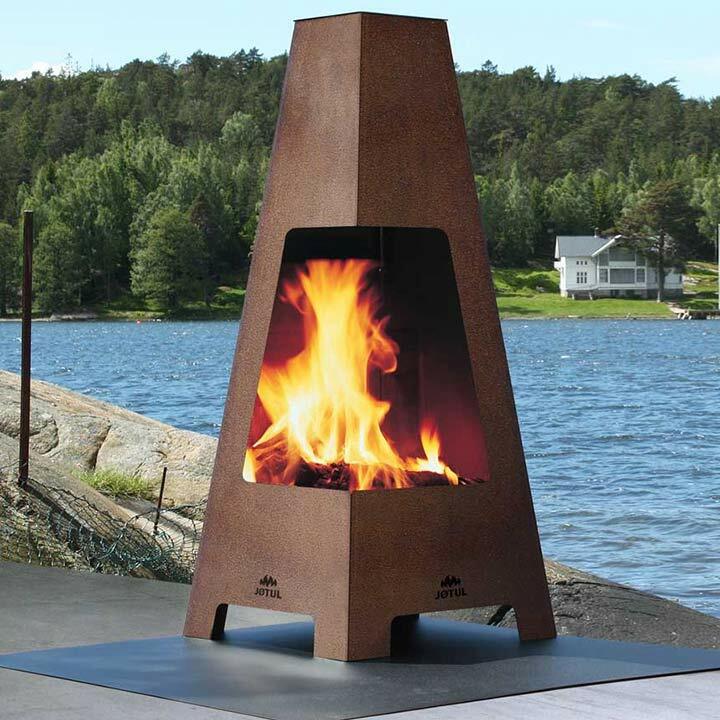 The Jøtul Terrazza Wood Stove is a garden fireplace is made from Corten steel which produces a rustic, rusty surface after a short while. This is also protection for the steel which means that the fireplace can be left outside all year round. Jøtul Terrazza has a large opening offering a great view from the sides and gives everyone a warm and cosy feeling from the large fire. An outdoor wood stove that can complement any stylish garden furniture and decorative landscaping.